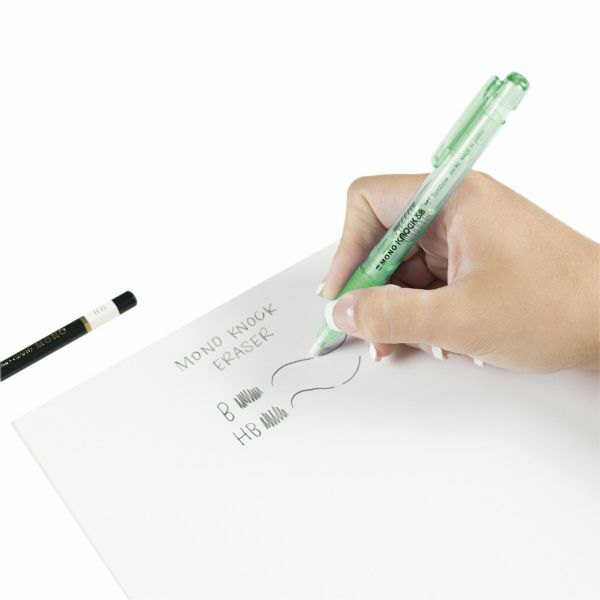 The MONO Knock eraser has a pen-style body that is easy to use and store. * Convenient clip for on-the-go corrections. 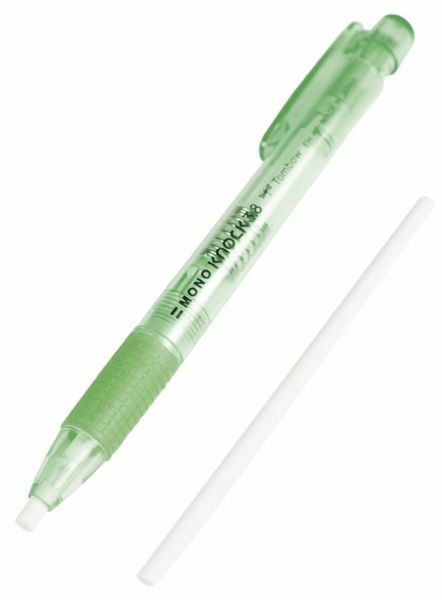 * Features a rubber grip for comfortable use. 5.3" x 0.6" x 0.6"